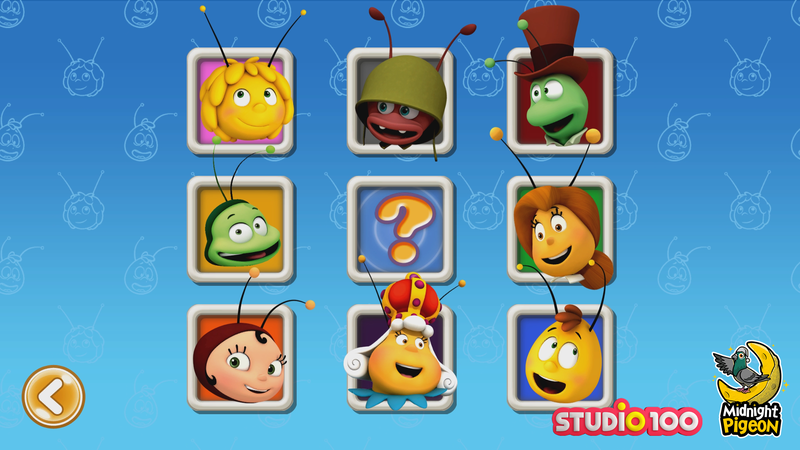 Welcome to the official page for Maya the Bee: The Nutty Race. 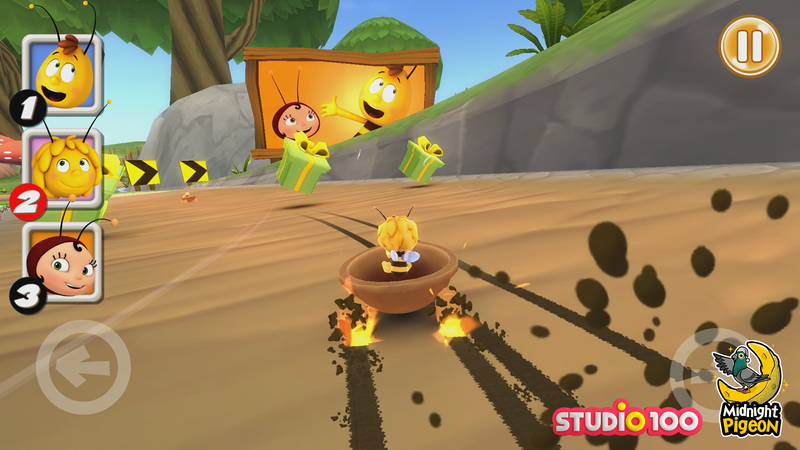 Entertain your kids with this lighthearted Maya the Bee kids race game! Perfect for preschool 2-4 year olds, there’s no pressure as the cast of Maya the Bee drive through tracks set amidst beautiful 3D nature scenes. 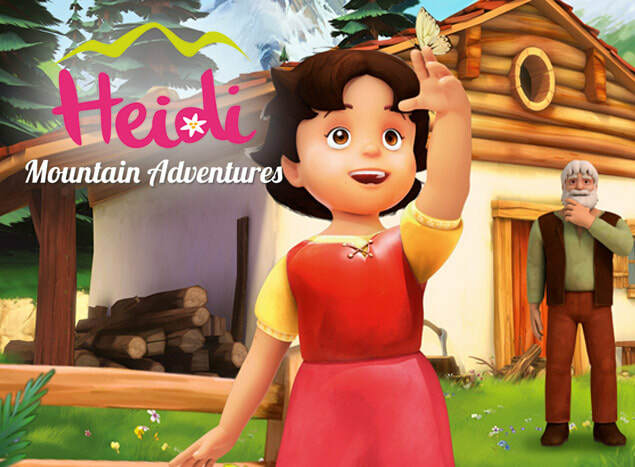 Your child can enjoy hours of entertainment as they race for first place, play around with powerups, or just enjoy the cartoon scenery. 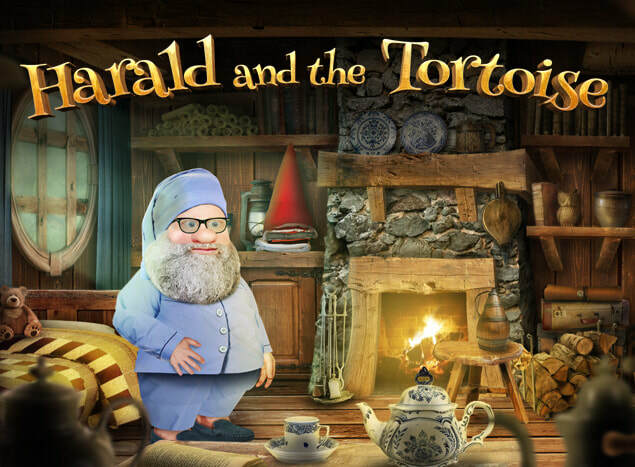 Let the Nutty Race begin! 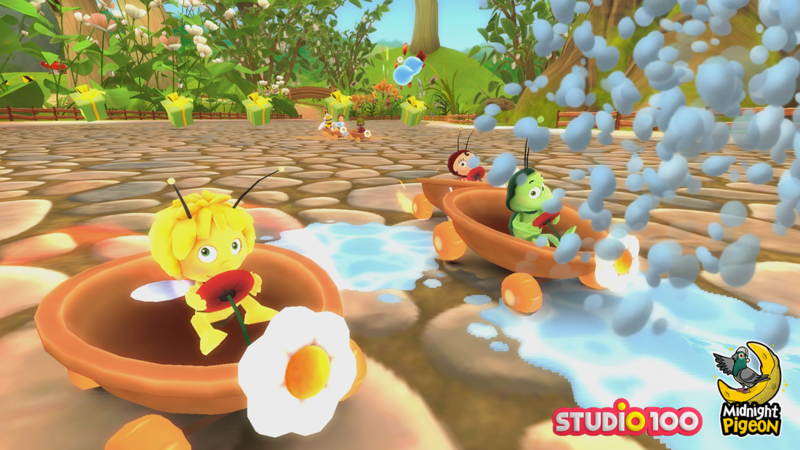 Maya the Bee: The Nutty Race has been produced by Midnight Pigeon and X-Form Games in cooperation with Studio 100. 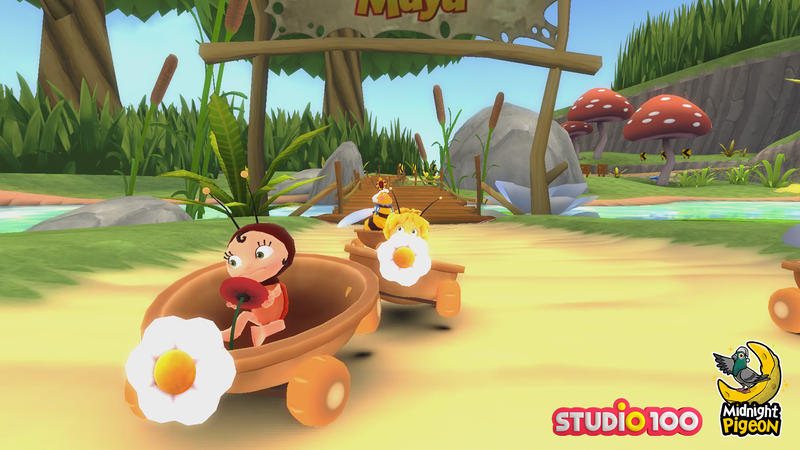 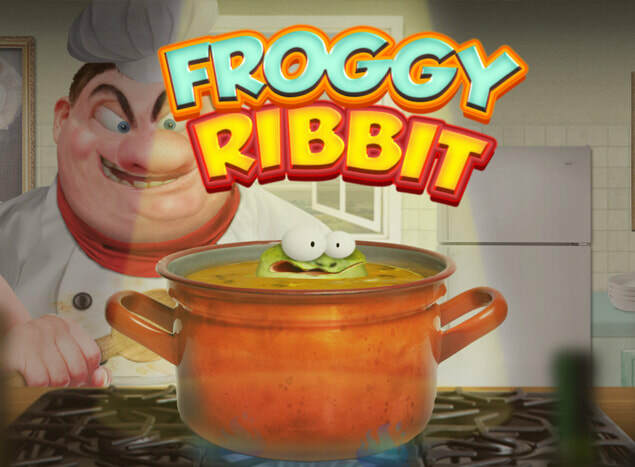 Midnight Pigeon makes fun and educational kids games which allow children to explore at their own pace. 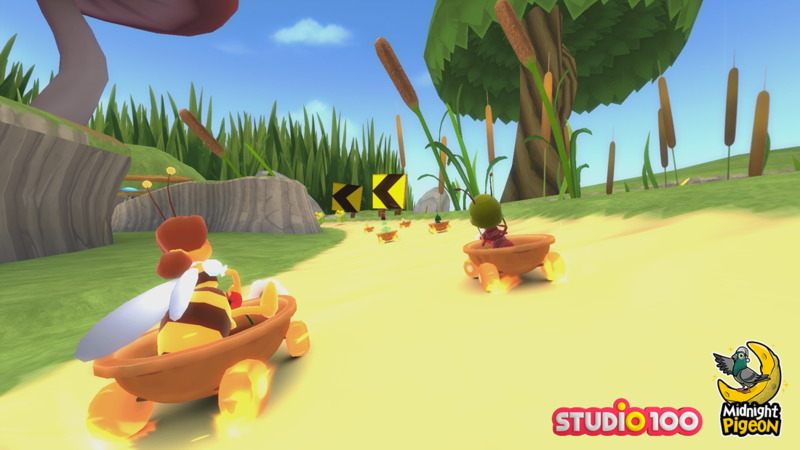 * Pick up and play race game: Exciting and accessible arcade driving game for young children. 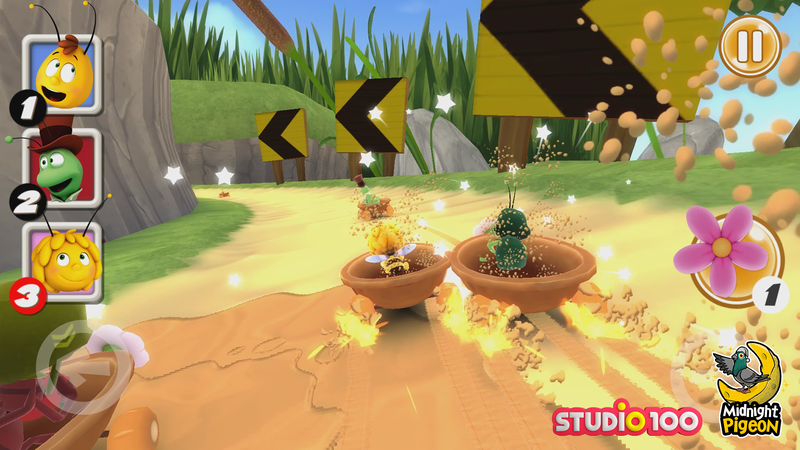 * Fun powerups: Water balloons, speed boosts, and dropping sticky honey - there are many fun things for a young racer to do. 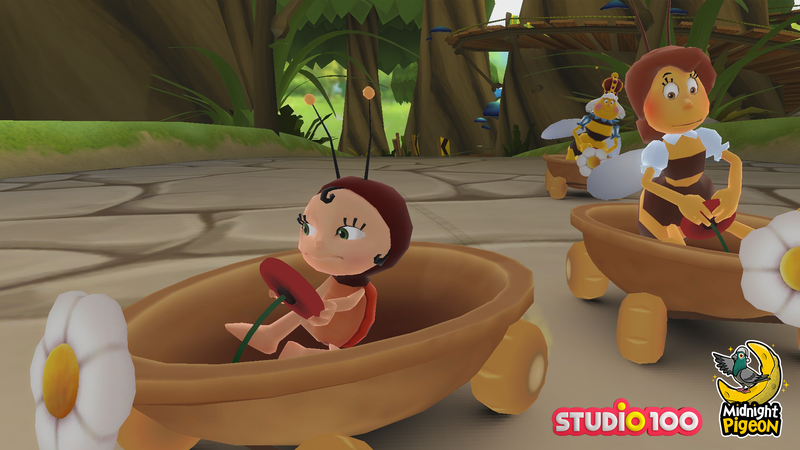 * Preschool playtime fun: Your child can enjoy the game how they like - go for first place, or just have fun driving around! 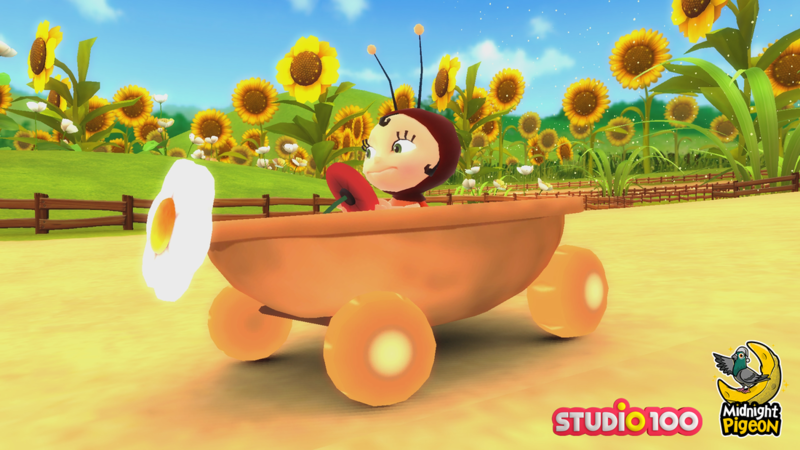 * Fun with friendly Maya: Race with all the recognizable characters from the Maya the Bee children’s stories - your toddler can pick their favorite character. 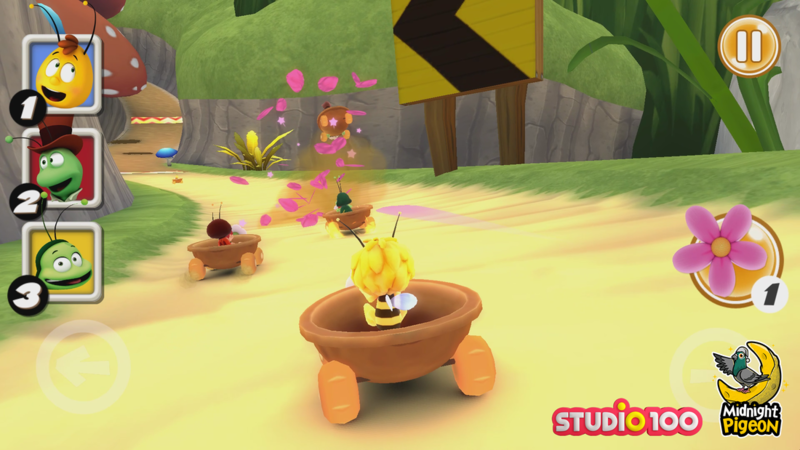 * Ad-free premium product: no adverts or in-app payments - Maya the Bee: The Nutty Race is a complete product, so your toddler can focus on having fun!